is an organization that promotes interest in Amateur Radio communications, advances the radio art, fosters education in the field of electronic communications, and shares knowledge and information about the Amateur Radio Service with the general public. This web page serves as our online gathering place to share contact information, event listings, and general items of interest to our members. Some pages or portions thereof are password protected and unavailable to the general public. Any information security concerns should be addressed to the webmaster. Please use the About link to the left for more detailed information about our club, repeaters, meetings, etc. License testing @ 17:30, general membership meeting @ 19:00. 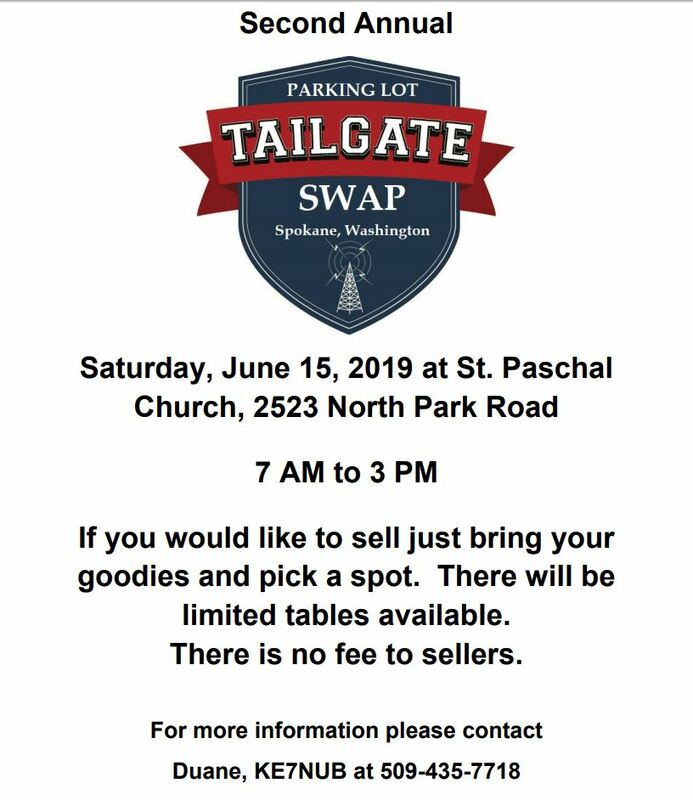 St Paschal Church - 2523 North Park Road, Spokane. Details on their flyer..